When one country annexes another, there's some things you expect to happen, like airstrikes or strongly-worded letters to the UN. One consequence you probably wouldn't have predicted is that you'll no longer be able to spend $0.99 on certain apps. 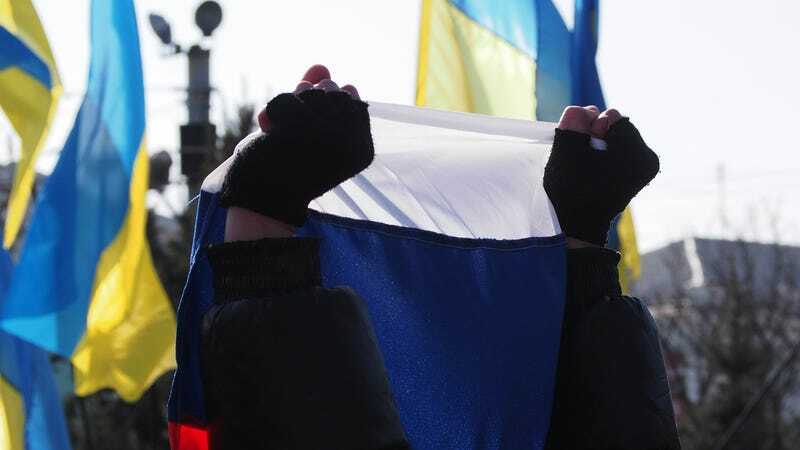 In a (rather belated) response to the Russian annexation of the Crimea last year, President Obama signed an Executive Order on 19th December listing a new range of sanctions against the Crimea region. The move was meant to put the economic thumbscrews on Putin, but it's had a rather unexpected result for the little people of the Crimea. The sanctions prohibit the import or export of any "good, service or technology" from the U.S. to Crimea. Among other things, that means that app developers can't make iPhone games any more, and Apple has been sending out emails to affected parties informing them. As TechCrunch reports, Crimean developers are banned from publishing apps, and have to stop using any Apple-provided software or tools immediately. Money owed to the developers for app sales has also been frozen in escrow. Apple isn't the first tech company to cut off the Crimea, either: Valve has apparently shut down Steam in the region, as well. Thanks to geopolitics and Putin, Crimean kids can't play Call of Duty any more. Presumably, however, the sanctions will apply equally to all tech companies, not just Valve and Apple. There's no indication yet that Google or Microsoft have shut down developers for their app stores — in fact, a Crimean developer interviewed by Russia Beyond The Headlines said that "Crimean developers have no problems with Google".